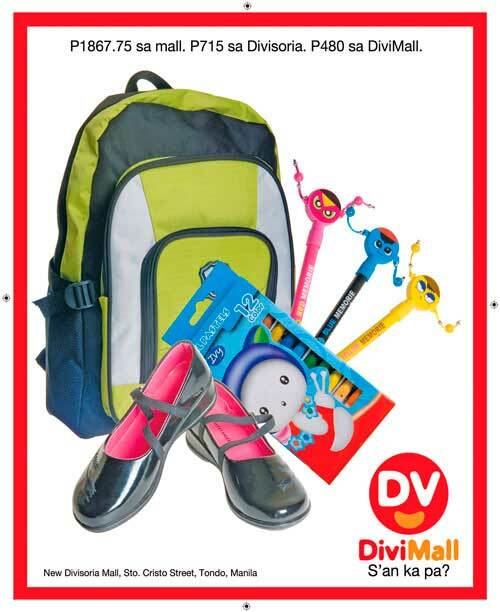 Looking for the best place to shop for inexpensive school supplies, bags and shoes for your kids? You can check out Divi Mall in Manila. I haven’t visited the place lately. But most friends who frequent the area swear their visits were worth their time and money. I wish I can check the place before the opening of classes. How to get to Divisoria Mall? Click the map to view. This entry was posted in Where to shop and tagged bargain, cheap school items, opening of classes, school items, school stuff on May 12, 2011 by Mommy Yam. sama ka, yami, were off to divi tom?